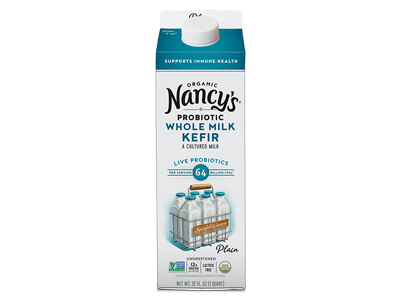 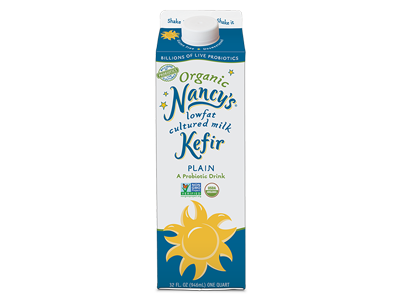 Organic Pasteurized Whole Milk, Organic Pasteurized Nonfat Milk, Organic Inulin, Lactase Enzyme, and LIVE CULTURES (including 11 probiotic strains: Bifidobacterium lactis BB-12®, L.acidophilus LA-5®, L.rhamnosus LB3, L.casei [2 isolated strains] L.acidophilus [2 isolated strains], Bifidobacterium lactis [2 isolated strains]). 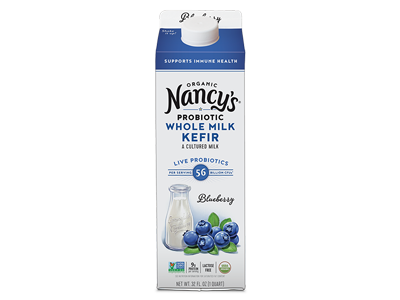 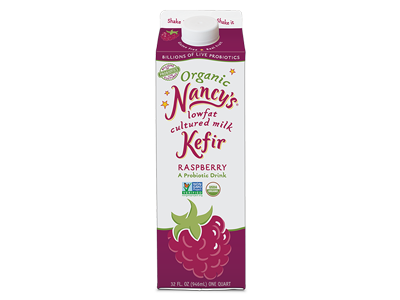 Organic Pasteurized Whole Milk, Organic Pasteurized Nonfat Milk, Organic Agave Nectar, Organic Blueberry Puree, Organic Blueberry Flavor, Organic Inulin, Lactase Enzyme, and LIVE CULTURES (including 11 probiotic strains: Bifidobacterium lactis BB-12®, L.acidophilus LA-5®, L.rhamnosus LB3, L.casei [2 isolated strains] L.acidophilus [2 isolated strains], Bifidobacterium lactis [2 isolated strains]). 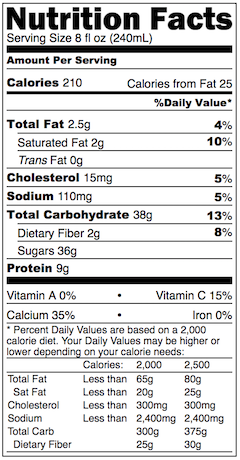 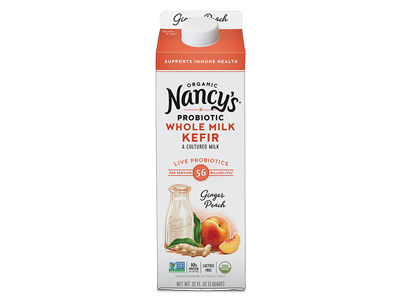 Organic Pasteurized Whole Milk, Organic Pasteurized Nonfat Milk, Organic Agave Nectar, Organic Peach Puree, Organic Ginger Powder, Organic Peach Flavor, Organic Inulin, Lactase Enzyme, and LIVE CULTURES (including 11 probiotic strains: Bifidobacterium lactis BB-12®, L.acidophilus LA-5®, L.rhamnosus LB3, L.casei [2 isolated strains] L.acidophilus [2 isolated strains], Bifidobacterium lactis [2 isolated strains]). 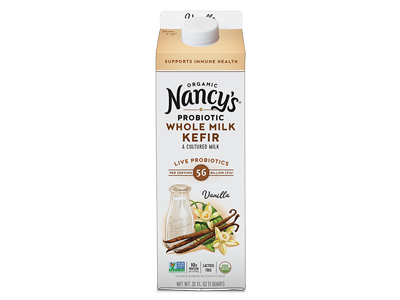 Organic Pasteurized Whole Milk, Organic Pasteurized Nonfat Milk, Organic Agave Nectar, Organic Vanilla Extract, Organic Vanilla Flavor, Organic Inulin, Lactase Enzyme, and LIVE CULTURES (including 11 probiotic strains: Bifidobacterium lactis BB-12®, L.acidophilus LA-5®, L.rhamnosus LB3, L.casei [2 isolated strains] L.acidophilus [2 isolated strains], Bifidobacterium lactis [2 isolated strains]).